Learning Chinese can feel overwhelming, especially when you’re faced with the infamous Great Wall of Chinese (text). One way of making it easier is to chop it up into many bite-sized pieces, which is exactly what Twitter does. Each message is limited to 140 characters, so it can’t be that hard, can it? Be suitable for language learning – This means including translations, Pinyin or both. This means that I haven’t included accounts just because they are in Chinese, the actually have to be suitable for learners. Contain mostly Chinese language content – Some feeds contain a lot of interesting language content, but mixed up with too many other things. I have only included those where at least half the tweets directly teach you something in Chinese. Not rely on links to be useful – I have focused on feeds that are meaningful and useful directly on Twitter, so merely linking to interesting content doesn’t count. If you want generally interesting tweets, start with my account and start exploring from there. Be active and persistent – I don’t include feeds that have been inactive or have only posted a few dozen times. An account needs to have been active for some time and keep posting good quality content to be on this list. Click here to view all the accounts below in my Chinese content list on Twitter! Focus: Interesting expressions, slang and idioms. Pinyin + translation. Comment: Consistently interesting content, everybody should follow. 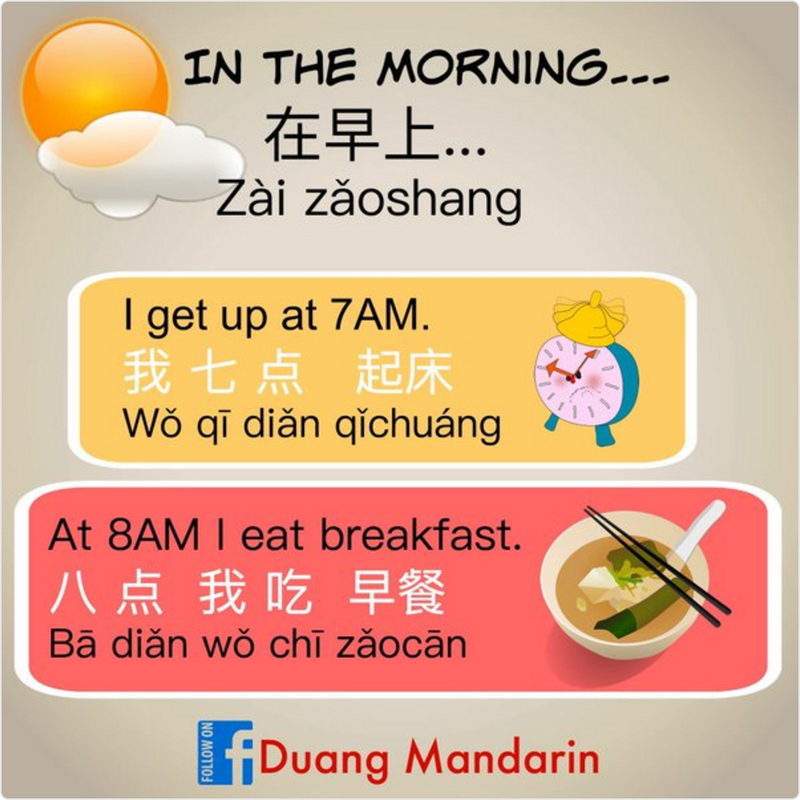 Focus: Useful sentences with translation and Pinyin. Focus: Chinese idioms, set phrases, proverbs and folk sayings. Translation + Pinyin. Comment: Good content, but not really suitable for lower levels. Focus: Simple words and phrases through pictures. Translation + Pinyin. Focus: Inspirational quotes. Translation, no Pinyin. Simplified. Focus: Single characters with etymology. Translation, sometimes with Pinyin. Comment: The only account on the list that focuses explicitly on characters. Focus: Words and phrases, often grouped together. Translation + Pinyin. Comment: Often expanding to related words. Relatively new. That’s my list of favourites for 2016! Do you have any other accounts I really should check out? Leave a comment! I am researching opening a Twitter account, Ollie I note that aside from your Chinese name you have no Chinese apperaring in your biography. 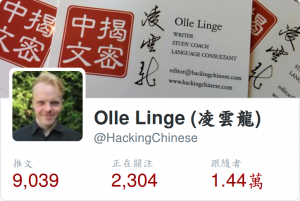 Might there be a good reason for my using Chinese in my Twitter biography? Is Twitter being used by Chinese people, aside from those offering Chinese tuition, do you know? Twitter is blocked in Mainland China, so while there are of course lots of Chinese speakers there (from other places, or people with VPNs), most hang out elsewhere, mostly on domestic services such as Weibo. I guess it depends on your objectives. I’m addressing people who can’t necessarily read Chinese (yet), so it makes sense to write in English.